The freshest bagels you’ve ever tasted! With Rhodes dough, it couldn’t be easier. Combine 2 rolls together into a nice round ball. Put both pointer fingers through center of the ball and stretch to form a large hole. Repeat with remaining rolls. Place bagels on a large sprayed baking sheet. Cover with sprayed plastic wrap and let rise 30-45 minutes. In a large saucepan, bring 6 inches of water with baking soda to a boil. 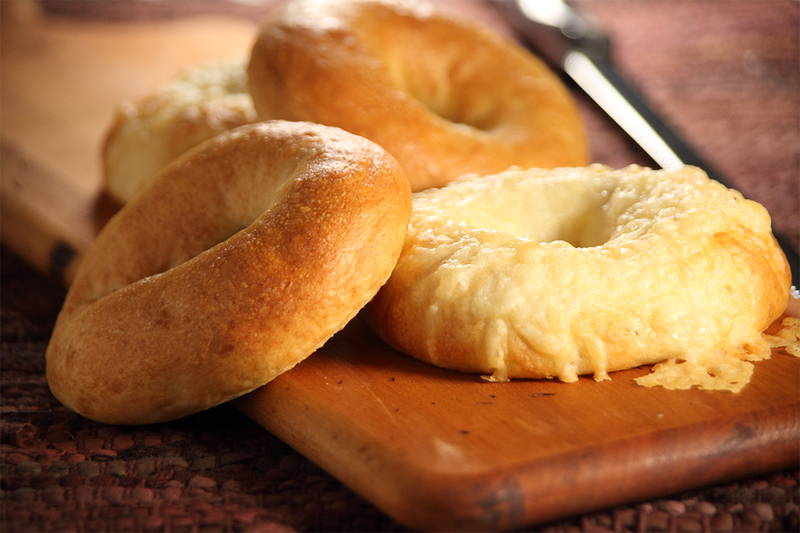 Slip bagels, one or two at a time into gently boiling water. Boil for 30 seconds on each side. Remove with slotted spoon; drain on cooling rack for a few seconds. Return to sprayed baking sheet and sprinkle with cheese or seeds if desired. Bake at 375 degrees F 15-20 minutes or until golden brown.